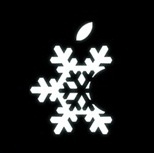 Late tonight, iH8Sn0w updated sn0wbreeze to be able to perform an untethered jailbreak of A4 iDevices running iOS 5.1.1. 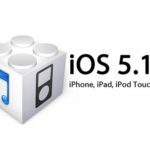 As indicated in the post, sn0wbreeze now supports the iOS 5.1.1 build 9B206 untether that was released earlier today in Absinthe. The update also supports iOS 5.0 build 9B206f (Apple TV 2) and further brought some interface changes and bug fixes. What’s not included yet is the new build (9B208) of iOS 5.1.1 that Apple released earlier tonight for the GSM iPhone 4. Although there isn’t much of a difference it was enough to make the 9B206 untether payload for the iPhone 4 (GSM) invalidate on 9B208. Until pod2g/planetbeing build an untether payload for this build, 9B208 support is not included. Note that sn0wbreeze has not yet been updated to work on A5(X) devices. Until a low level exploit in DFU or iBoot is found, A5(X) users can use Absinthe without a problem. Sn0wbreeze has been updated to version 2.9.4 and is available now.